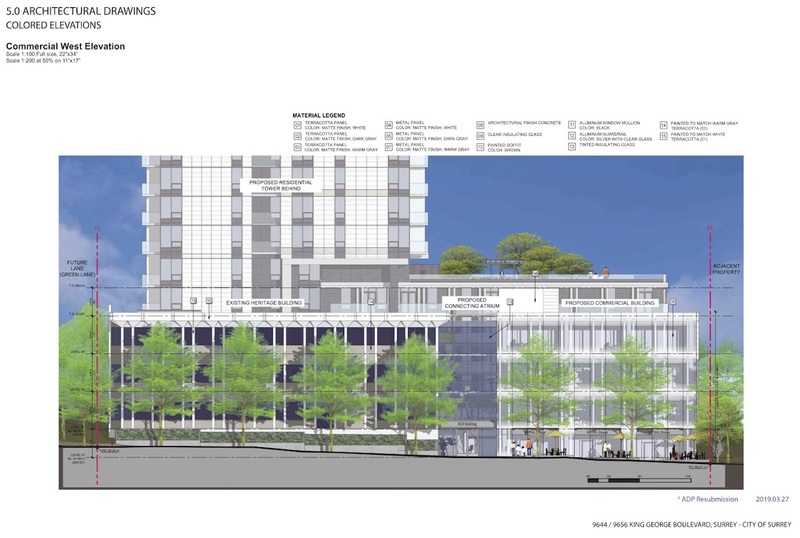 A proposal to revitalize the North Surrey Medical Building at 9656 King George Blvd in the emerging Health & Technology District is heading to Council on Monday for 1st & 2nd Readings. 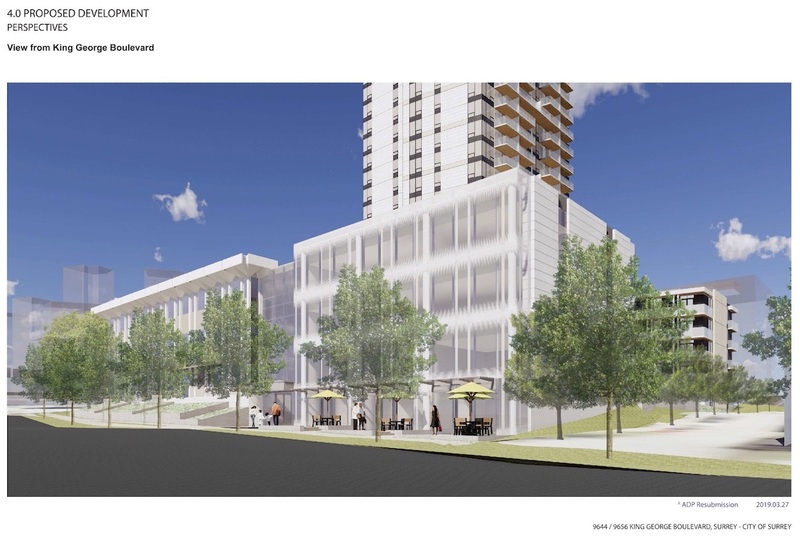 The project, by Vancouver’s Rize Alliance, is seeking to restore and integrate the 1960’s North Surrey Medical Building on site into a new mixed-use development consisting of a new 4-storey office and retail podium along King George Blvd, and a new 31-storey residential tower behind. 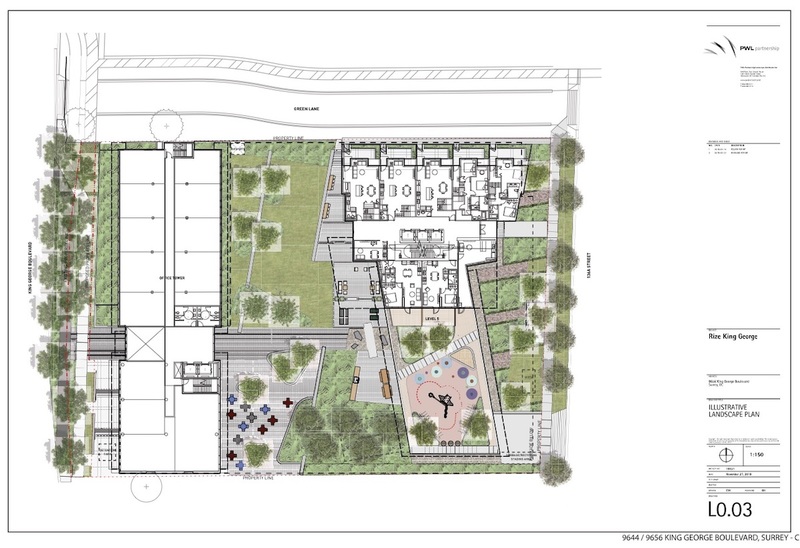 The project was first reported on here back in February when it passed ADP. 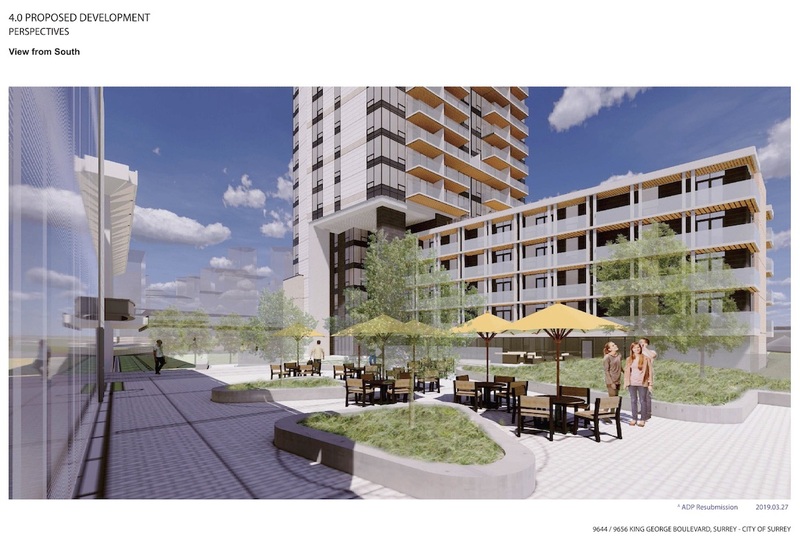 A landscaped courtyard designed by Vancouver’s PWL Partnership will separate the residential and commercial portions of the project. 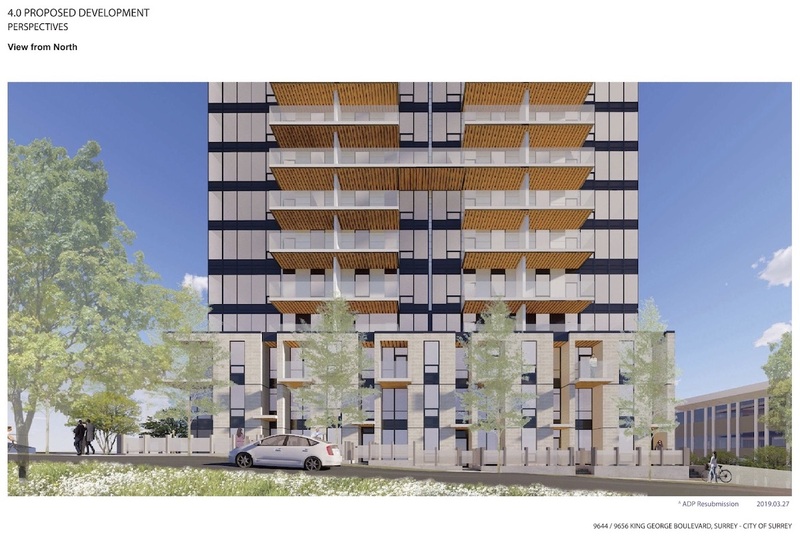 The Architect on the project is Stantec. 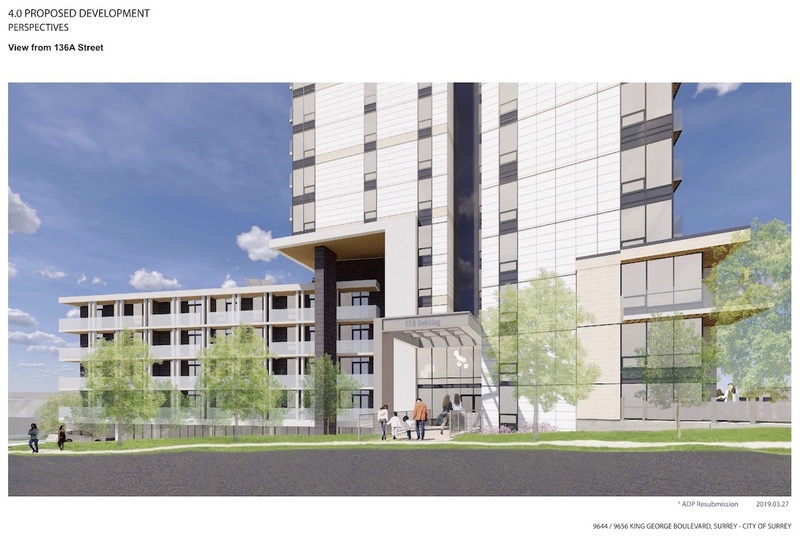 In addition to the revitalization of the North Surrey Medical Building, the applicant will be providing community amenity contributions including funding towards enhancements to Quibble Creek in the area. 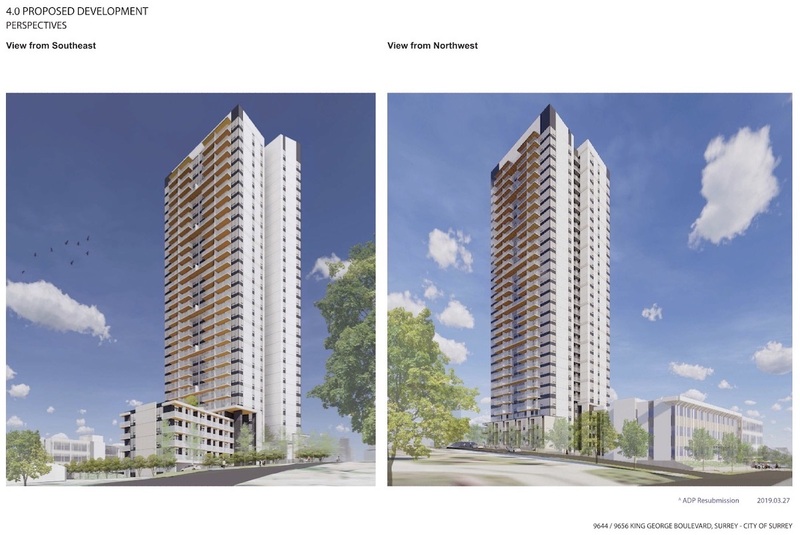 Contributions will also be provided for construction of a new east-west lane to the directly adjacent north of the site in the future, and towards the City’s Affordable Housing Strategy. 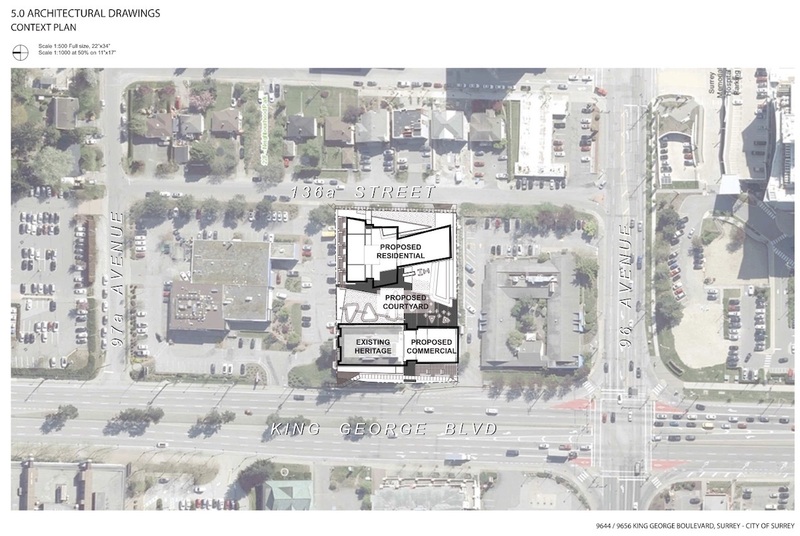 Posted on April 13, 2019 April 13, 2019 by UrbanSurreyPosted in Development, Planning, RenderingsTagged Health & Technology District, King George Blvd, Medical District, North Surrey Medical Building, Rize, Rize Alliance.